It is usually said shortly before something disastrous happens, in which the pending calamity is obvious to the viewing audience, but not the characters on the screen. Unfortunately, this very sentiment almost immediately came to mind, when I read the press release proclaiming that Walmart had “tapped” – that’s right “tapped,” ThomasNet.com to “support its U.S. manufacturing initiative. Before I explain my reasoning for feeling this way, I think it is important to understand that ThomasNet is a first rate organization that has a rich and deep history in terms of serving the American supply market. This history goes back more than 100 years. The values that have and continue to, define the company, are generally speaking above reproach, and is reflected in the fact that those who work with ThomasNet have generally been with the organization for their entire careers. In some instances, we are even talking about a familial employee base that is into its second and third generation. From the supplier standpoint, ThomasNet has built a reputation based on trust and the value it provides through informing, engaging and ultimately empowering suppliers to deliver their products and services to an eager market. If we were watching a movie, ThomasNet would be the protagonist. The hero or heroine. Enter Walmart (the antagonist – although I am sure that ThomasNet does not view them as such). Back in July 2007, I wrote a post titled Public Sector Procurement and the Walmart Effect. In it I talked about the fact that the more a supplier deals with Walmart, the lower their profits drop in relation to their industry’s average. Cott of course is not the exception for suppliers dealing with Walmart, their experience is the rule. An article from Fast Company recounted what they referred to as the “sad story of Vlasic Pickles.” Here are excerpts from that article. I would like to suggest that you read the original July 2007 post for additional data. However, the above should be sufficient in providing you with the basis for my concerns. The fact is that historically, Walmart has been something less than a benevolent partner to its suppliers. This is largely due to the retailing giant’s propensity to leverage its size and influence, to extract every last drop of possible savings despite the consequences. Now unless something has dramatically changed within the Walmart hierarchy in terms of their approach to supplier relations, tapping into the rock solid reputation of ThomasNet to gain access to suppliers in the U.S.could become a nightmare for the latter’s creditability and brand. Think about it for a moment . 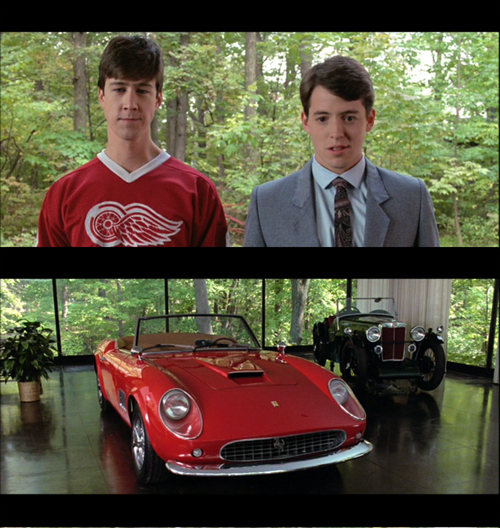 . . it is tantamount to giving Ferris Bueller access to your Dad’s priceless collection of automobiles. I am going to be watching this story as it develops closely over the coming months. While I hope that I am wrong, like the movie patrons at that critical moment in the picture, I have an urge to yell don’t do it, as I cover my eyes.